Contact lenses come in many different sizes and curvatures. From daily disposable to monthly wear lenses, and color enhancing to multi-focal, the options are endless. When you come in for a contact lens exam our optometrist will find the right fit and brand for you. Contact lenses are a great choice for vision correction but should never completely replace glasses. It is important to give eyes a few hours a day without contact lenses unless they are approved for extended wear. Island Eyecare offers a wide variety of contact lenses which all have one thing in common: they provide excellent eye health and comfort. 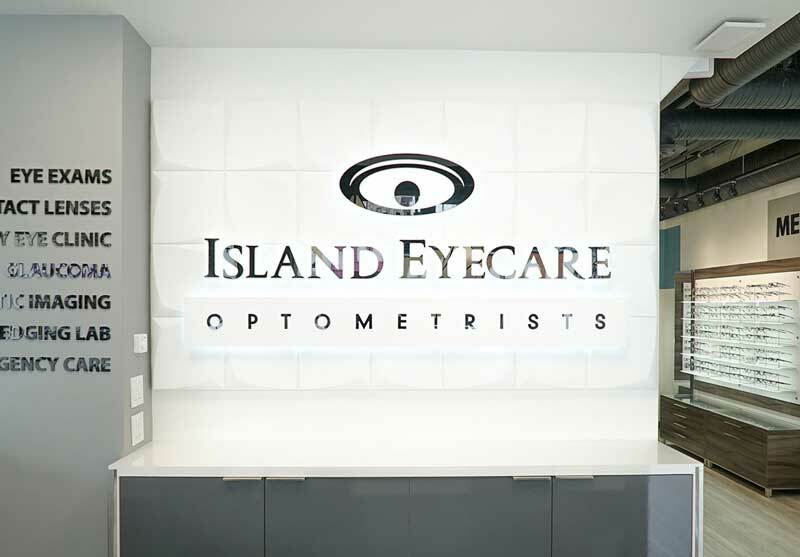 The contact lens fitting process at Island Eyecare begins with the optometrist choosing an initial lens based on the patient’s prescription, eye shape, and expected wear time. 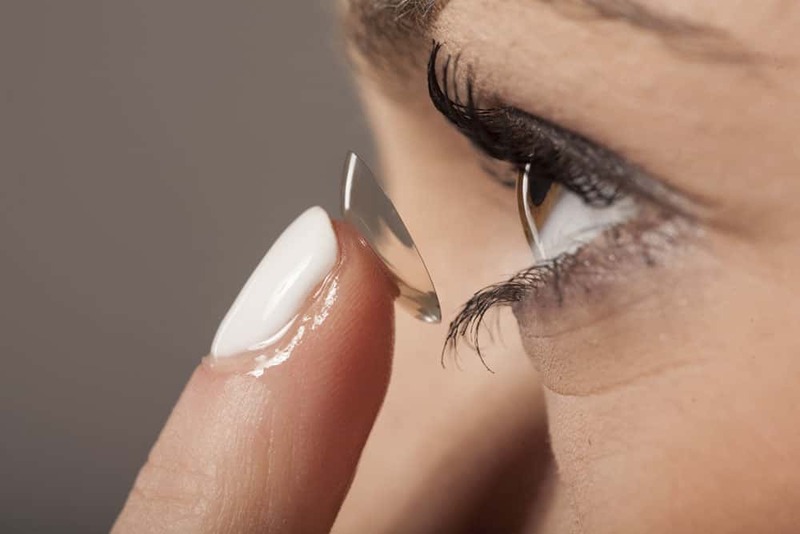 The fit of a contact lens is then inspected to make sure that the lens is not inhibiting oxygen from reaching the eye. The fitting process is completed after ensuring that the lens of choice is not only healthy for the eye, but also that the patient is entirely satisfied with the comfort and vision provided by the contact lens. At Island Eyecare, we provide specialty contact lens fittings to those who require it. These include fitting multifocal contact lenses which have multiple prescriptions to correct distance vision, intermediate vision, and near vision all in one contact lens. As well, rigid gas permeable lenses can be fit to improve vision for patients with various eye diseases such as keratoconus. Island Eyecare believes in thoroughly training our patients on how to correctly use and care for their contacts. Contact lens training takes approximately one hour to complete. During this time, the patient is taught how to correctly insert and remove their prescription contact lenses, as well as how to care for the particular lens chosen for them. When comfortable, the optometrist checks to make sure that the lenses fit properly. A free trial pair of contacts is given in order to give time for adaptation and also to confirm that it is the best contact for you. On the follow up visit with the optometrist, the fit is rechecked and it is verified that there are no more improvements that need to be made. Once contact lenses are fitted, an annual contact lens evaluation is required to ensure that the lens selected for your eyes a year ago still provides optimal health, fit, and vision. If not, a new contact lens will be fit for your eye to find the best lens for you. Even though your contact lenses may feel comfortable, it does not necessarily mean that they are still providing the best fit and health for your eyes. At Island Eyecare, we provide this annual check free of charge if an annual supply of contact lenses is purchased. As well, if your prescription has changed, most unopened boxes of contact lenses from a previous purchase are able to be exchanged for your new prescription.